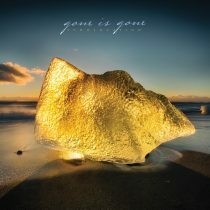 Gone Is Gone is an American rock group formed in 2016. 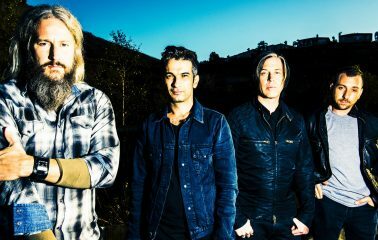 The band consists of Troy Sanders, the singer and bass player from Mastodon, Troy Van Leeuwen, one of the guitarists for Queens of the Stone Age, Tony Hajjar, the drummer for At the Drive-In, and Mike Zarin, a multi-instrumentalist, composer and founder of Sencit Music. An eponymous EP was released on July 8, 2016, via Rise/ Black Dune. The band has performed a sold out live show at The Dragonfly in Hollywood, Los Angeles, which was sold out. Often compared to the partnership of Trent Reznor & Atticus Ross, Zarin, Hajjar & co have taken Film Advertising as the focus for their creative inspiration. Joined my Troy Sanders and Troy Van Leeuwen, 2 very well known Rock legends in their own right, Gone is Gone comes from a pedigree of music’s finest purveyors of light and shade. Epic and Cinematic in Scope, this headlining rock band, drawing from their roots in film advertising, is bringing their brand of sonic textures, moody atmospheres, and grit worldwide to music fans, film goers, film makers, and film marketers alike.